This product can easily handle pancakes, hash browns, eggs and sausages. 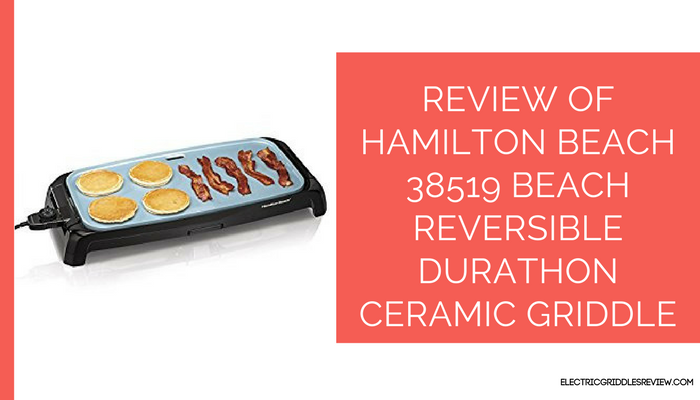 Hamilton Beach 38519 Beach Reversible Durathon Ceramic Griddle has cooking surface of 200 square inches with ceramic nonstick coating. The surface made with Durathon ceramic, provides you with superior nonstick cooking performance and it is four times more durable than traditional nonstick coatings. This won’t crack or peel and is PTFE and PFOA free. You won’t be scraping your meal off the cooking surface as foods easily flip. 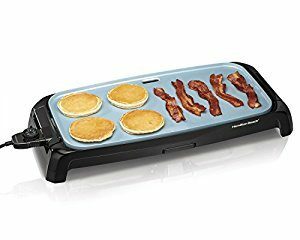 The best feature of this particular griddle is the unique reversible design, which lets you plug it in from either side. 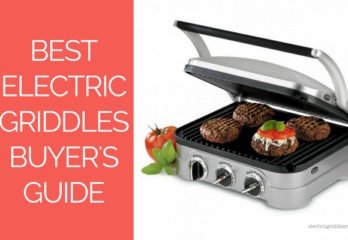 Set up your griddle where you want to cook and don’t worry about getting the extension cord. 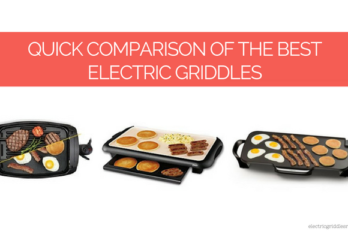 The reversible design of this griddle lets you connect the power from either side of the griddle, hence, letting you plug it to most convenient outlet. It has drip tray that is removable and dishwasher-safe. The drip tray catches excess grease and other drips while cooking and helps you keeping your countertop free of messes. It can handle the temperature of 200-400 degrees. The heat is adjustable for a greater range of cooking options and the handles remain cool to touch. However, the frame that griddle sits in is reported to be flimsy and cracked in short period of time. Cleaning this griddle is real easy process. Not only the nonstick surface and removable drip tray but also the cooking tray can be lifted out. This makes the cleaning whole lot easier and cord reversal easy. Like the cleaning, storing this Hamilton Beach Griddle won’t be much of a problem. The cooking surface heats evenly and there is no complaining of hot and cold spots so far. Consumers are really satisfied with its heating elements. Though the griddles are commonly used for preparing breakfast items, Hamilton Beach Griddle can make breakfast, lunch or dinner meals easily. You can prepare fluffy pancake and fried eggs or grilled cheese or juicy hamburgers. You can check its price here.